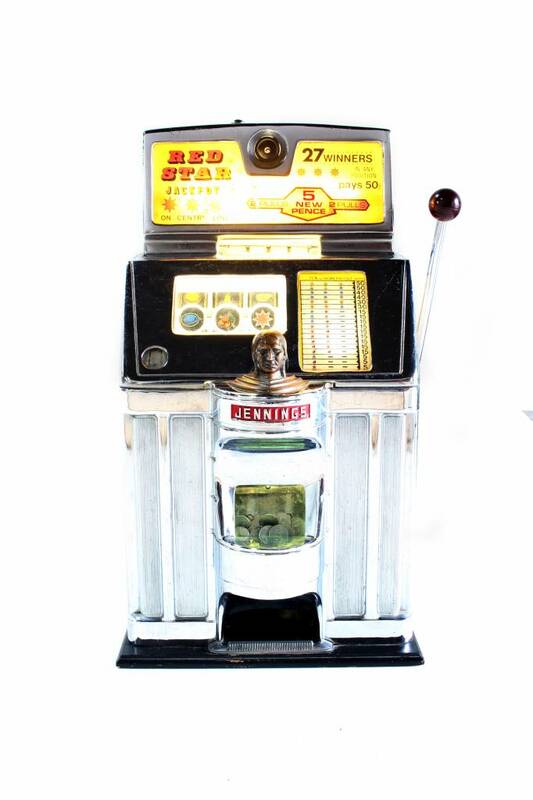 Authentic and fully working jackpot of the world famous Jennigs slot machines with the Indian Chief as symbol. 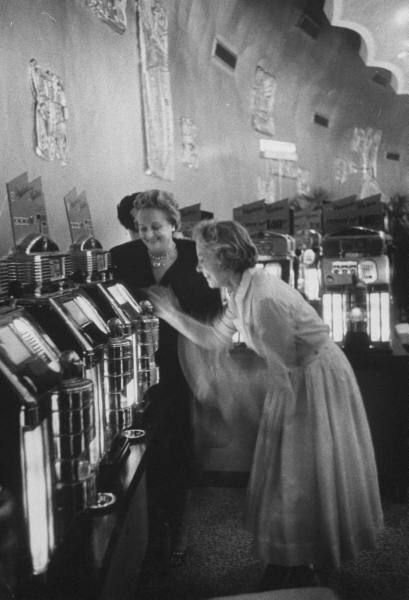 These Jackpots filled the casinos in Las Vegas in the 1950s. 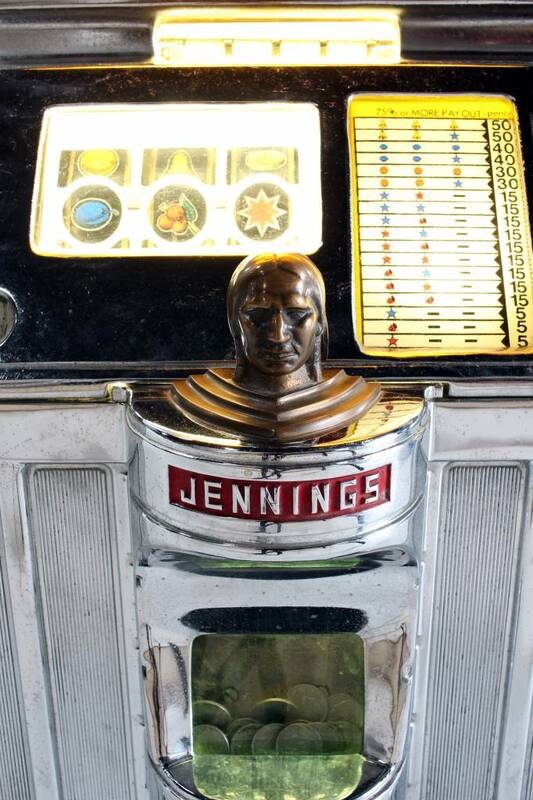 Jennings was born in 1874 in Kentucky. 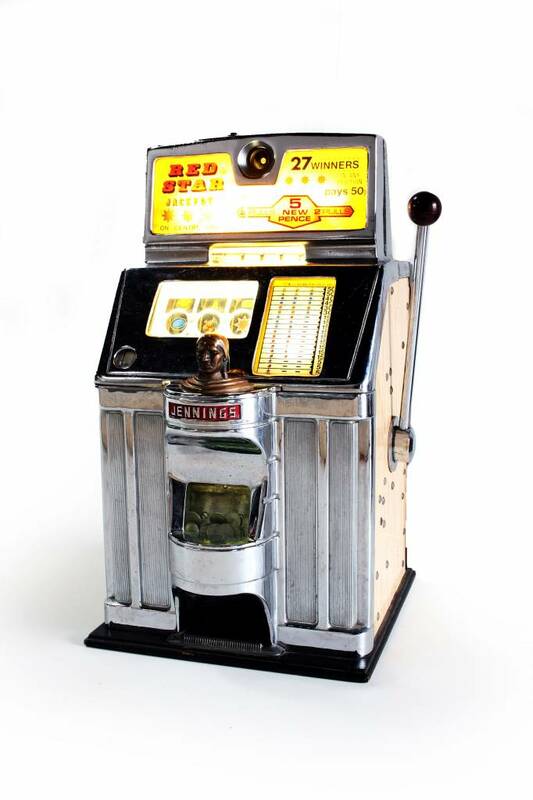 At the end of the 1920s he went to work for the Mills Novelty Co, where he quickly became an expert in the field of coin-operated machines due to his natural engineering skills. 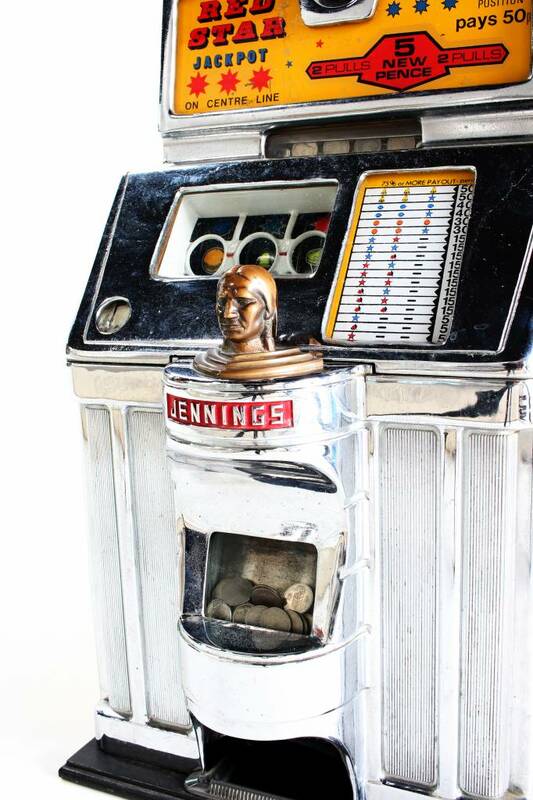 In the early 1960s, Jennings was the largest producer of slot machines in the US with 45% of total sales. 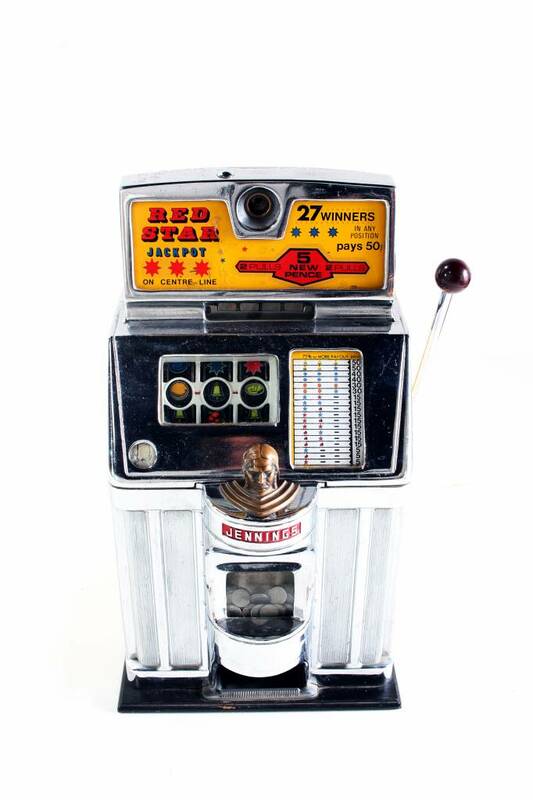 The Indian Chief figure head is immediately recognizable, even for those who are not involved in the history of slots. 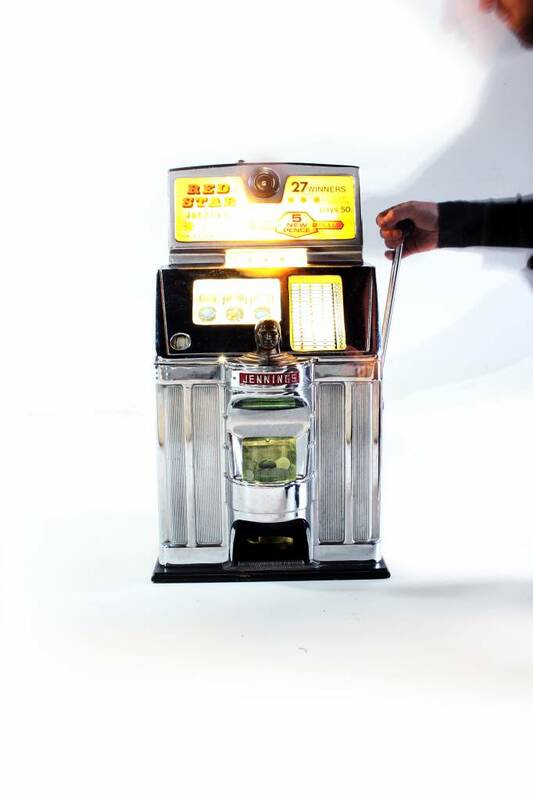 Do you want to bring this history into the house?